The Alps 2 Ocean Trail EASY cycle tour features 203km of cycling on the easier sections of the Alps 2 Ocean Cycle Trail. The Alps 2 Ocean Trail EASY tour features 32% cycling on sealed roads, 62% cycling on gravel cycle trails, and 6% cycling on gravel roads. The riding is rated Grade 1 and there are a few gentle hills that can be skipped if desired. 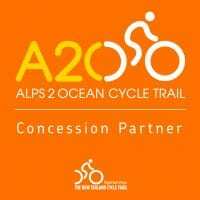 This tour is a great alternative to the full Alps to Ocean Trail EPIC cycle tour for those wanting a more relaxed and ‘pain-free’ cycle experience. There is ample time for exploring the glacial lakes and alpine towns, and general ‘mountain-gazing’. Vehicle support available throughout the cycle tour. Refer to our Level of Difficulty gradings for more information. The Alps 2 Ocean Trail cycle tour gets underway as we head south across the plains towards Geraldine. After a lunch stop we continue into the Mackenzie Basin, driving past Lake Tekapo to Lake Pukaki and the start of our cycle trail ‘great ride’. Alternatively we can organise a bus transfer from Queenstown to Tekapo. The first 6km cycle ride section is on a sealed road providing a good opportunity to get familiar with your bike. You then enter the cycle trail on the Lake Pukaki foreshore, featuring fantastic views of Aoraki Mount Cook and the snow-capped Southern Alps, all the way to the spillway (9km). Enjoy a refreshment break at the Lake Pukaki foreshore before embarking on the final section of the day on the 10km bike trail across the Pukaki Flats to Twizel (10km) featuring great views of the immense Mackenzie Basin and the late afternoon sun falling across the Benmore Range. Check into our comfortable accommodation for the next two nights. This morning we ride out of Twizel on the glorious flat and sealed canal roads, towards Lake Ohau (20km). At the lake enjoy views of the Barrier Range over morning tea, before cycling the Alps 2 Ocean trail Ohau weir section (19km) around the edge of the lake and on to Lake Ohau Lodge. We enjoy lunch here, and there is plenty of time to relax and enjoy yet more million dollar alpine views. We take a side trip to the head of the lake and into the glacial valley where it feels like you can literally reach out and touch the mountain tops. On the way back to Twizel we stop off and visit Glenbrook Station. Glenbrook is a 3700 hectare farm running merino sheep and beef. Enjoy a relaxing afternoon tea in front of the homestead before taking a tour around the (lower parts) of the station, learning about the merino sheep and how they are farmed by our hosts the Williamson family. Our farm visit is a great opportunity to lean the merino wool story and see first hand the wool product, from the farm to the finished product. Today we ride the Quailburn section of the Alps 2 Ocean Trail to Omarama, featuring more great views of the surrounding mountains (24km), where there is also the opportunity to explore an historic woolshed. After lunch, the next 13km cycle section takes you from Omarama to Sailors Cutting, following the lakeside of Lake Benmore. Here we load up and travel to Otematata and our accommodation. commences at the Benmore Dam and takes us around the side of one of the great hydro lakes of the valley, under the cool shade of the willow trees (22km). We then travel to Kurow for lunch, before riding on the Alps 2 Ocean Trail from Kurow to Duntroon. This section features an ancient Maori rock drawing site which can be explored. We return to Kurow and settle into our accommodation for the night. We head to Duntroon and commence the last day of our spectacular Alps to Ocean bike ride. We leave the river valley and head inland through North Otago countryside, home to the unusual limestone ‘Elephant Rocks’ to Prydes Gully (19km). Enjoy cycling the final 33km section through very attractive looking ‘English’ countryside, from Windsor via the Botanical Gardens to Oamaru, finishing up by the sea at Friendly Bay. Check into our comfortable accommodation and enjoy a celebratory meal together in the historic Victorian Precinct of Oamaru. Have a leisurely start to the day and spend the morning exploring the absolutely splendid Victorian precinct featuring some of New Zealand’s best 19th century architecture in Oamaru’s old town. We depart for Christchurch arriving in the city by 4:30pm. Alternatively you can take a bus to Dunedin or Queenstown from Oamaru. Megan has a background in interior design and art tutoring as well as a restaurateur. She currently runs a design consultancy and an Air B&B by the beach in Christchurch, and is revelling in supporting, hosting and sometimes taking her guests out for adventures. 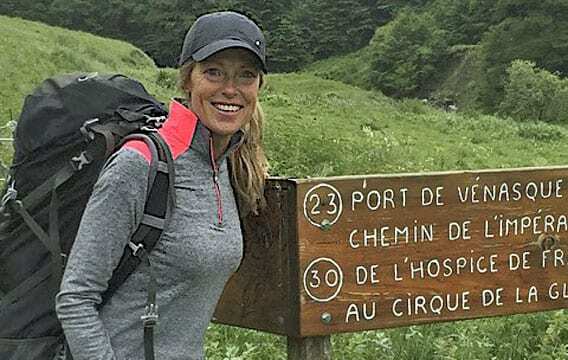 Megan has travelled extensively herself, both within NZ and abroad, and has just completed the Old Ghost Road (mountain bike trail) for the second time. Megan looks forward to the opportunity to show off NZ and share her experience, passion and love of the outdoors with PureTrails. Robin lives in the alpine Canterbury village of Hanmer Springs where he is kept busy trapping opossums (a significant pest here in NZ!) 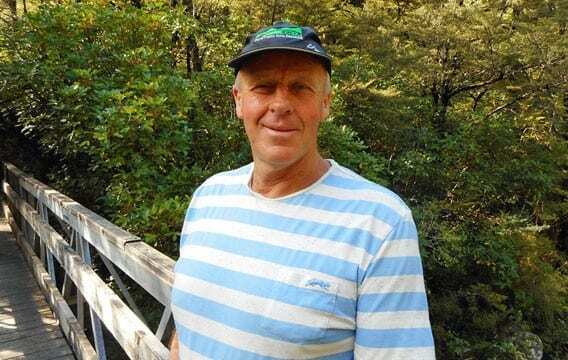 Previously Robin has worked in the motor trade industry and operated a rural Christchurch Press round for many years. 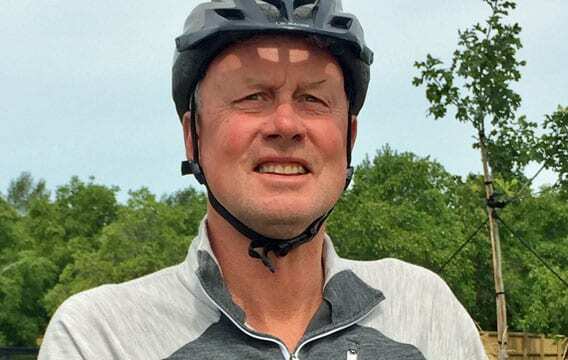 His hobbies include golf, fishing, automotive restoration, gardening and road bike racing. 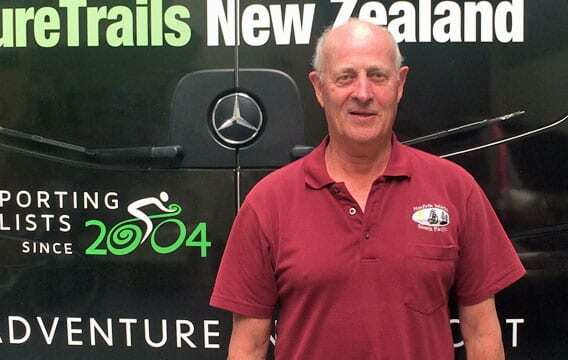 Robin looks forward to sharing his stories on the Alps to Ocean Trail trips. "Sophie & I have had a wonderful trip and I think this is the beginning of many cycling tours to come. Thank you John for your great organisation and instruction. The scenery was breathtaking and we enjoyed the challenges & adventure. Looking forward to the next trip." "Loved all the interesting and factual commentary – just enough content to maintain interest – not too much. Great fun PureTrails people – makes all the difference. Great job – loved it again – will be back to enjoy more – thank you." "Absolutely fabulous trip. Very well looked after. Loved every section but personally cycling around Lake Ohau was my favourite. Very lucky with the weather."